The Chief Of Army Staff (COAS), Maj.-Gen. Tukur Buratai, has said that the December deadline given by the Federal Government to flush out Book Haram was feasible. 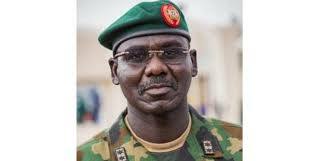 Buratai, who made this known when he visited officers and soldiers of the 3 Division, Nigerian Army Jos, on Sunday, said that the military had stepped up the fight against the insurgent group. The COAS said that the tempo of the operation, the number of troops and the equipments had all increased. He, however, noted that the spate of bombings by the group in some cities, especially on soft targets, had increased in the last two weeks. Buratai said that the army, in conjunction with other security agencies, was studying the pattern and would soon be able to quickly find a solution to the spate of bombings. He commended the soldiers in the battle front for doing very well so far and urged Nigerians to support the fight by providing useful information to security agencies. He added that his vision was to reposition the army and make it more professional and more responsive to its responsibilities. According to him, steps have been taken to ensure that medical facilities are improved upon, saying that the army will do better with healthy officers and men.